Apple has just released the very first beta of iOS 7, allowing those signed up to the Developer Program to go ahead and test out some of the new features and alterations announced today at WWDC. As ever, this one’s only available to registered Apple developers, so if you happen to be enrolled in the $99 per year agreement, please check out the details below. After a great deal of rumor, speculation, and concepts, Apple finally unveiled iOS 7 on the opening morning of this year’s Worldwide Developers Conference. As predicted, the aesthetic elements of the Cupertino’s mobile operating system are a great deal flatter than iPhone, iPad and iPod touch users have become accustomed to, with skeuomorphic elements banished in their entirety. Whenever a new version of iOS is announced, Apple immediately makes the first beta build available to developers, and iOS 7 is no exception. 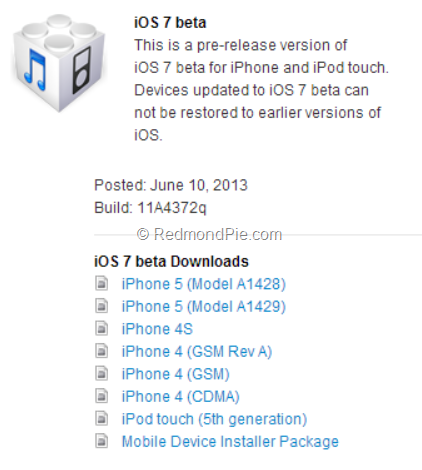 iOS 7 beta 1 is now available for download to those running an iPhone 4, iPhone 4S, iPhone 5 and iPod touch 5; it will be available for iPad 2, iPad 3, iPad 4 and iPad mini in the coming weeks. Unfortunately, the iPhone 3GS and the iPod touch 4 have been left behind, but considering the former is now four years old, this was perhaps to be expected. As ever, we must warn against those intending to download this build from unverified sources. Apple is fairly dogmatic in halting this kind of sharing activity, and has been known to take action against multiple devices using the same accounts. At the end of the day, it’s not really worth the hassle of the repercussions, and for a mere $99 for the whole year, it’s worth it if you’ve a vested interest in the development of Apple’s products. Those of you that do download and install iOS 7 beta 1, what do you think of it? 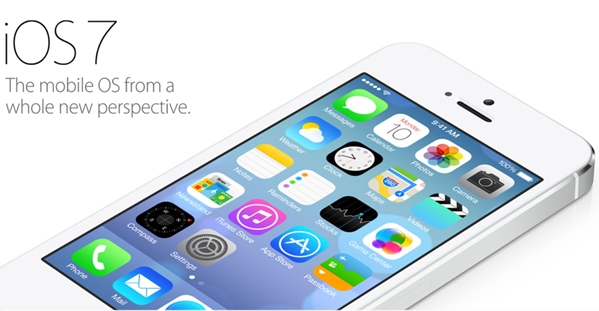 Are the alterations to the look and feel as significant in practice as was construed at the WWDC showcasing? Please do share your thoughts below!